Extreme Engineering hits a home run at Atlanta Braves Stadium With a High-Action Adventure park. Sacramento, CA (April, 2017) – Extreme Engineering, known as the leader in adventure rides and family-friendly thrill parks, hit a home run with the new SunTrust Stadium for the Atlanta Braves. The Atlanta Braves wanted to provide their fans a truly unique experience that no other baseball stadium offered. Extreme Engineering helped with the Brave’s initiative to bring family-friendly attractions to the massive kids zone expansion. As the world’s largest adventure ride supplier for the amusement industry, Extreme Engineering designed and installed the award winning Fly Wire™ Zip Line and a stationary climbing wall tower. The Atlanta Braves kids area is called the “Hope and Will’s Sandlot,” a partnership with Children’s Health Care of Atlanta. 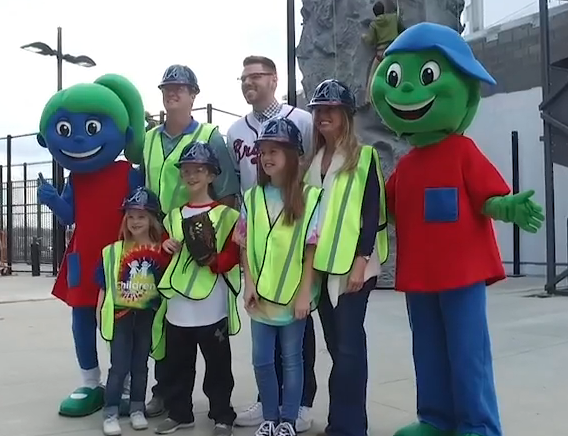 Derek Schiller, Braves President of Business states, “…One of our favorite parts is the addition of the kids area…this is a terrific way for fans to come here and enjoy experiences of all sorts of kids activities.” The adventure zone was completed in February of 2017 and has been opened for over two months. 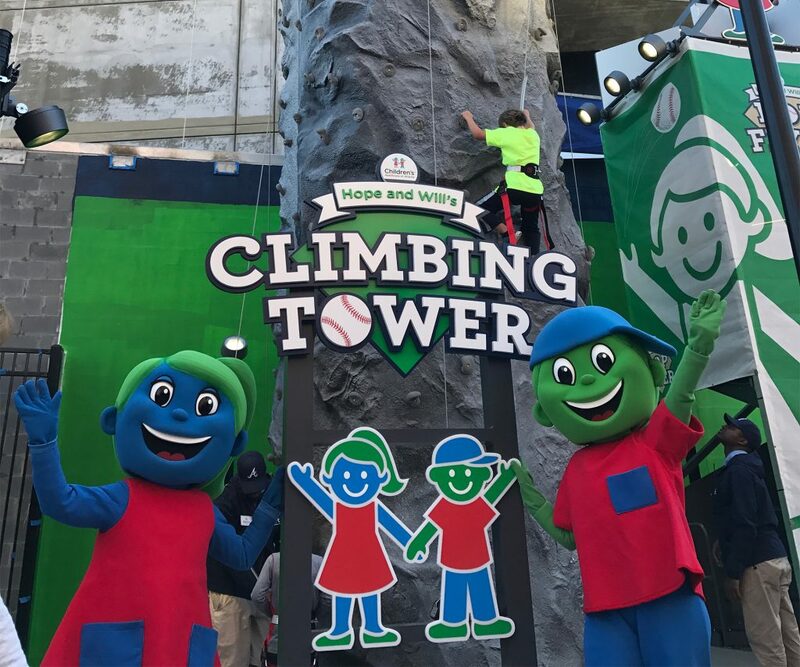 Both the climbing wall tower and Fly Wire™ Zip Line have been two of the most popular attractions at the new Braves stadium. 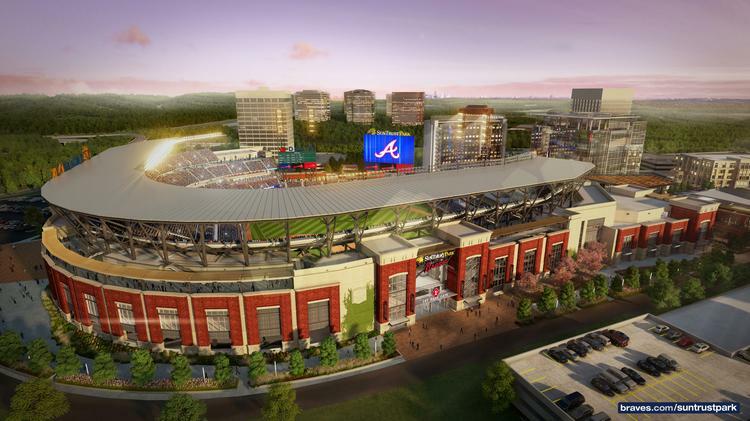 “We were excited to be apart of this amazing project for the Atlanta Braves but even more so knowing it was for such a good cause,” says Phil Wilson, Executive Vice President of Extreme Engineering. 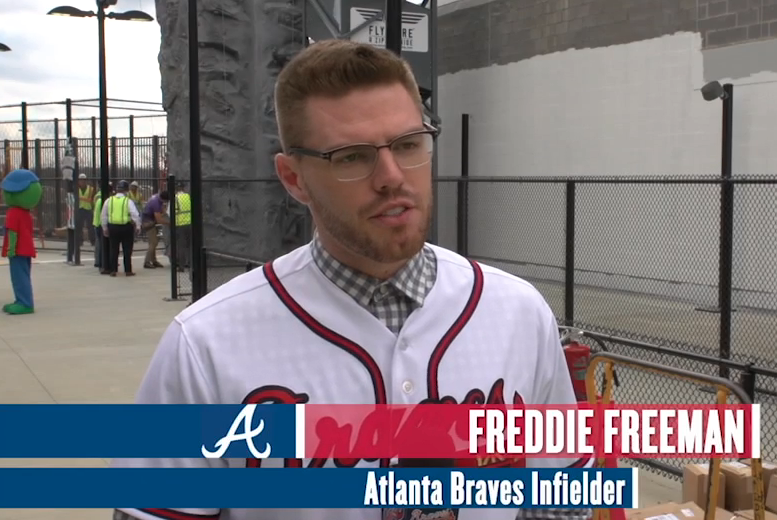 Freddie Freeman, Atlanta Braves Infielder states, “It’s pretty cool. I think it’s one of a kind obviously having a zip line, a rock wall…there are so many activities that kids will be able to do around here.” The climbing wall stands at a towering height of 26 feet tall, allowing multiple climbers at one time while the Fly Wire™ Zip Line is almost the length of a football field. With over 22 years in experience and 5,000 customers worldwide, Extreme Engineering has provided extreme thrills to customers such as Disney, Six Flags, NASA, US Military, Westgate, Marriott and many more. As the original creators of mobile climbing walls, the Cloud Coaster™ and Auto-belay™ systems, Extreme Engineering has been globally recognized as the primary supplier family-friendly thrill rides, zip lines, mobile and stationary climbing walls and extreme, interactive fun. Extreme Engineering is the first company in amusement history to achieve the amazing honor of “Best New Product” 5 years in a row and 11 industry awards from several leading organizations. For more information on Extreme Engineering, please visit www.extremeengineering.com, or email Philip Wilson at phil@extremeengineering.com.